Black River Music Publishing has signed Matt Lopez to a publishing deal. Lopez is a member of the emerging group Due West who recently signed a record deal with Black River Music Group’s label. He has had songs recorded by Lady Antebellum and Joanna Smith. 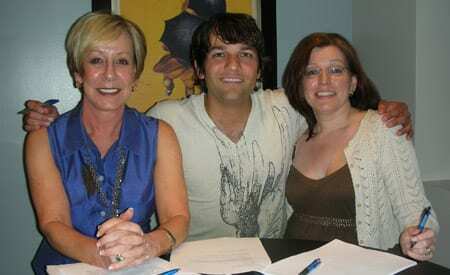 (l to r): Celia Froehlig, Matt Lopez and Tonya Ginnetti, BRMG's Vice President/Director Artist Relations.